The former chief executive of Ipswich Town and the British Olympic Association, Simon Clegg, has been recruited as a consultant to Madrid's bid for the 2020 Olympics. The 53-year-old, who spent 11 years at the BOA, left his role at Ipswich two weeks ago after four years at the club. Clegg was also involved in London's successful bid for the 2012 Games. He said: "I look forward to helping Madrid secure a positive outcome over the remaining months of the campaign." 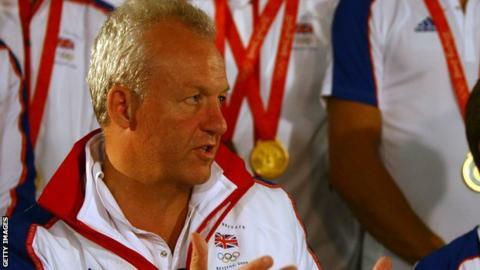 Clegg, who was also Team GB's chef de mission at six Olympic and Winter Games, including Beijing 2008, continued: "They have an excellent bid, founded on utilising a significant number of existing venues and have made really positive enhancements to their previous consecutive bids for the 2012 and 2016 Olympic Games. "The indisputable economic impact of London 2012 to the UK demonstrates just what a positive financial driver hosting the Games can be for a country." Madrid is up against Istanbul and Tokyo for the right to host the 2020 Games, with the successful bidder due to be announced on 7 September. The Olympics was last staged in Spain in Barcelona 21 years ago. Asked about Clegg's appointment, Madrid 2020 chief executive and secretary general of the Spanish Olympic Committee Victor Sanchez said: "His experience of managing British athletes at 12 Olympic and Olympic Winter Games, six as Team GB's Chef de Mission, including the best British performance for 100 years in Beijing, coupled with his deep involvement in the bid process, means that he brings to us an almost unique perspective."